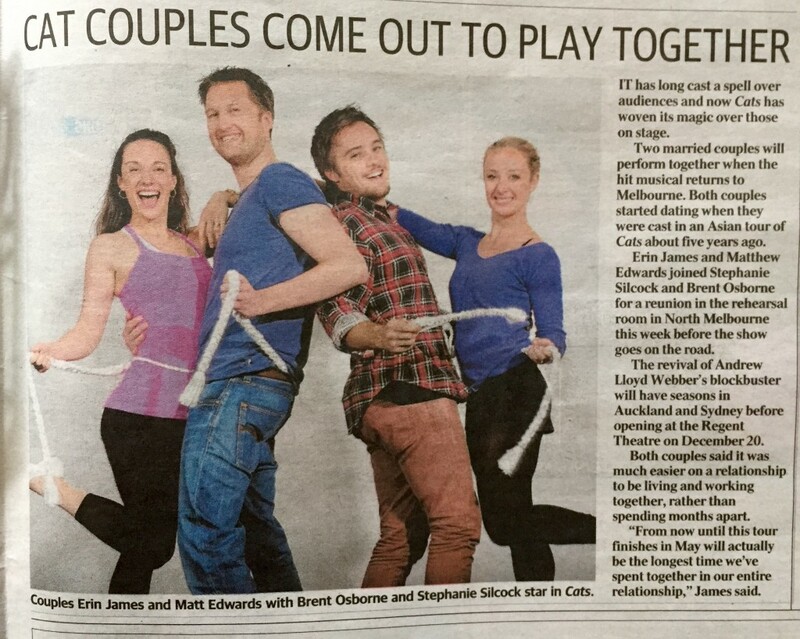 Erin is currently rehearsing with the Australian cast of CATS the musical ahead of the show’s opening in Auckland, New Zealand. The production will then transfer to Australia, with pop star Delta Goodrem in the leading role of Grizabella. Erin first joined the cast of CATS in South Korea in 2008 as ‘Olivia’ (swing), remaining with the company for tours in Hong Kong, China, Singapore and the Australian season in 2009/2010. Erin re-joined the cast as Jennyanydots for a season in the Philippines in 2010 and took over the role of Jellylorum/Griddlebone during the Taiwan tour the same year.